Despite being a sci-fi film, it feels far more like a fantasy. One thing it always maintains is a sense of wonder about its world. No one really understands what is going on with the reversed gravity, and the ruler of this new land Patema finds herself in says that “inverted” people who fall into the sky are sinners condemned by God for their crimes. 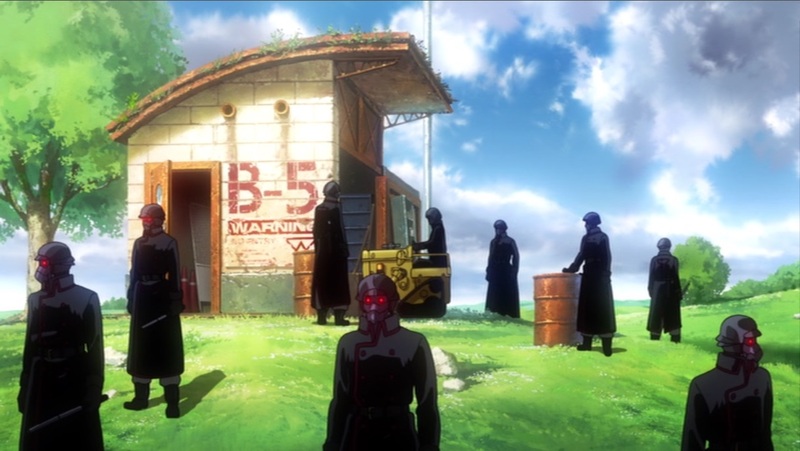 This sets up a slightly darker tale than you might be expecting (but only slightly) as the fascist government attempts to capture Patema while brainwashing its citizens into good little robots. The villain’s motivation is a bit unclear, though. He hates the inverts, but he wants to capture and control Patema, rather than eliminate her. At first I thought he just wanted to interrogate her and find out where she came from so he could track them all down. But this doesn’t add up with the events of the film, so I’m not sure what he’s really after. It seems that control is his main goal, but since Patema is his very definition of evil it doesn’t make a whole lot of sense to keep her around. There are probably a bunch of different ways you could nitpick the film apart like that. There’s a lot of oddities in the societies, such as why Patema was never told all the important stuff. That was clearly put in the film just to keep the plot rolling rather than to make any sense. The way that Patema and Age drift slowly to the ground when holding on to each other is also suspect, but since we don’t have any way to test that, I guess we can’t really know if it would work that way or not. In any case, you can’t go into a film if you’re unwilling to accept its premise. You have to take the film’s world at face value and just have fun with it. 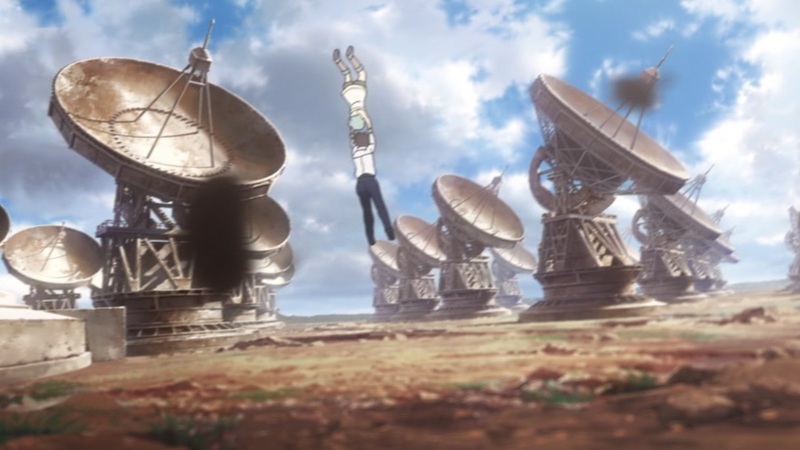 And Patema Inverted is a pretty fun film. It has a lot of adventure as Age and Patema try to escape the government, both hindered and helped by their opposite gravities. I was a little worried that the gravity gimmick would be overdone, but I think Yoshiura handled it very well. He spent just enough time establishing it and playing with it without falling into the kinds of formulaic predictability that could have become tiresome. The film also has a great sense of mystery. It doles out explanations about what happened to the people who survived underground and what happened to the people who fell into the sky in measured drops that keep the world fresh and interesting. It answers most of these questions by the end, and, unfortunately, some of them I saw coming fairly early. But I was also happy that it left a lot of things unexplained at the end as well. There’s a good deal of things to theorize about once the film is over, like what the hell was that huge industrial complex Patema and Age fall into during the middle of the film, or what the hell is going on with the moon at the end of the film. So you never lose that sense of curiosity. All of this stuff looks very good as well. The backgrounds do a great job of showing the world and its majesty, whether that be a gorgeous sky or a derelict underground ruin. 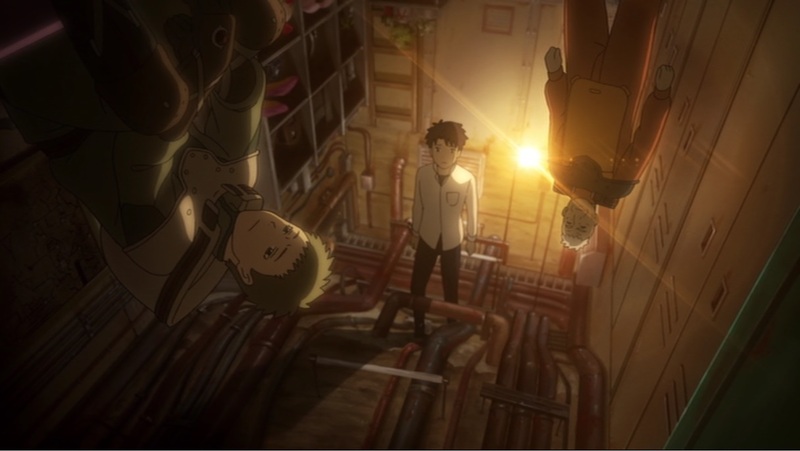 As I mentioned before, Shinkai still does it better, no question, but Patema Inverted is an overall beautiful film that shows just why its world is awe-inspiring enough to capture Patema’s curiosity. 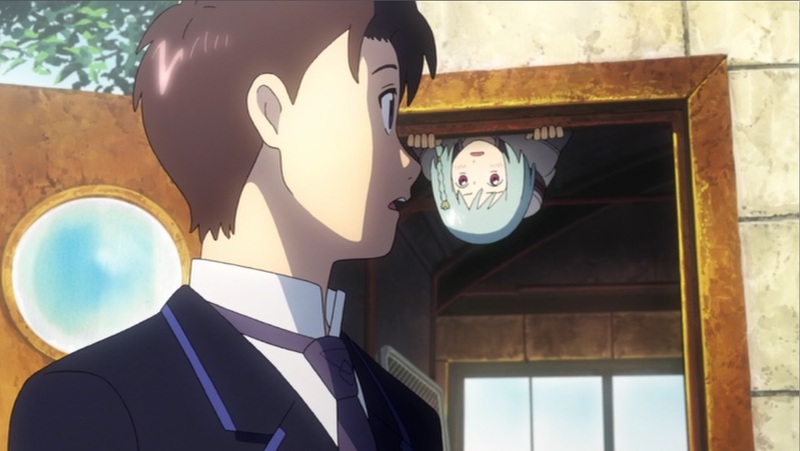 On the whole, I had a great time watching Patema Inverted. It’s got wonder; it’s got beauty; it’s got a cool sci-fi premise. What more do you need? It might not hold up as well for me on a second viewing due to its occasional logic fumbles, but most of that is minor quibbling rather than serious problems with the film. 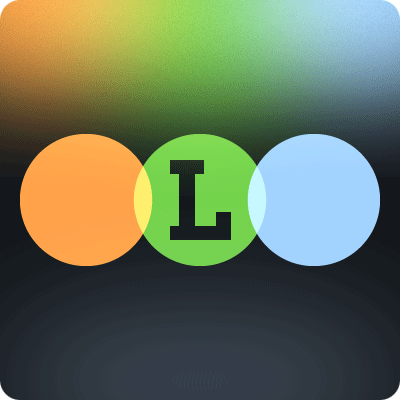 It’s still a lot of fun that’s well worth checking out.